Allenton School is pleased to be associated with the following organisations. 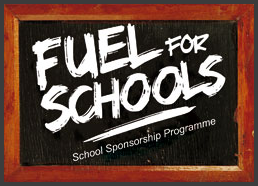 Allenton School is part of the Fuel for Schools sponsorship programme. If you are a Southfuels customer you can participate by nominating a Allenton School and we will receive 50 cents for every 100 Litres of bulk fuel that you have delivered.